President Jimmy Carter has been recognized for his futuristic vision and concern for humanity both as a president and a statesman. The Global 2000 initiative during his presidency is an indicator of his concern for the impact of globalization on stability and development in the world, especially in developing countries. President Carter recognized that political instability, poverty and disease are the major obstacles to development in developing countries. These global problems were recognized as being amongst the principal causes of global environmental degradation at the Rio Summit (1992) and subsequently by other global environmental forums, including the Global Ministerial Forum in Malmo(2000). 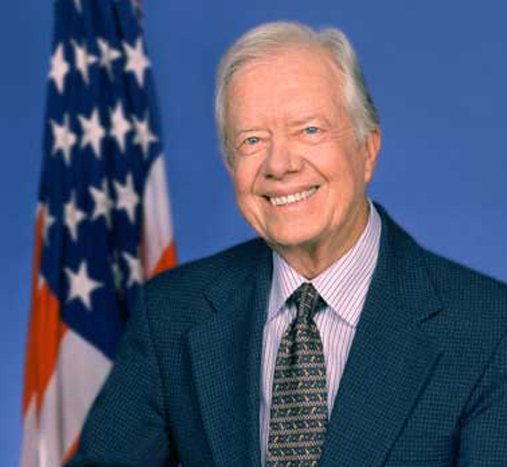 President Carter’s initiatives on peace and improving conditions in human settlements, his campaigns against poverty and the eradication of the Guinea worm in Africa have gained the respect and admiration of the world community. The Jury considered these achievements as making a major contribution to environmental protection in developing countries. His achievements also upheld human dignity and right to a decent livelihood, good health and development in an atmosphere of peace. It was felt that his integrity both as president and statesman, his concern for humanity and his vision symbolize the objectives of the Zayed International Prize for the Environment.